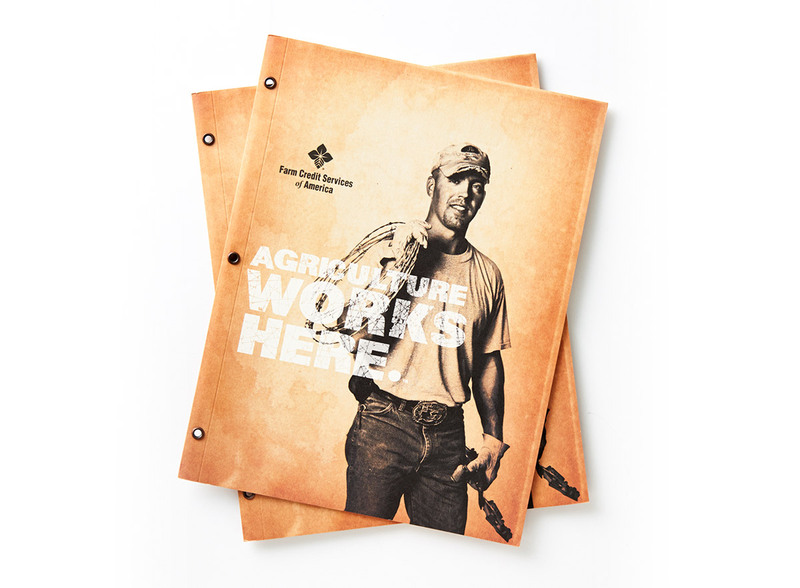 Farm Credit Services of America is a leading agricultural lender and crop insurance agency. 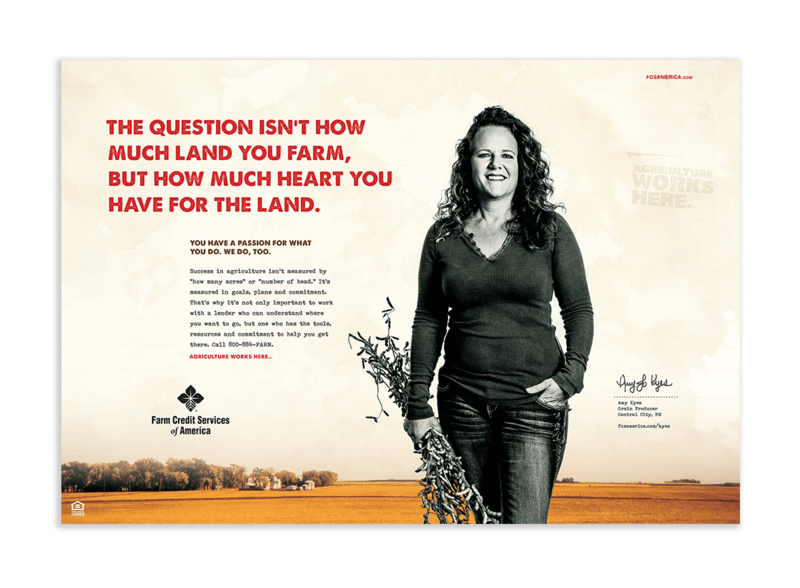 When Farm Credit Services of America refocused its strategic framework and vision to be agriculture's most valued financial partner, Meyocks worked to develop a marketing campaign that would showcase the financial cooperative's dedication to agriculture and commitment to its customer-owners. 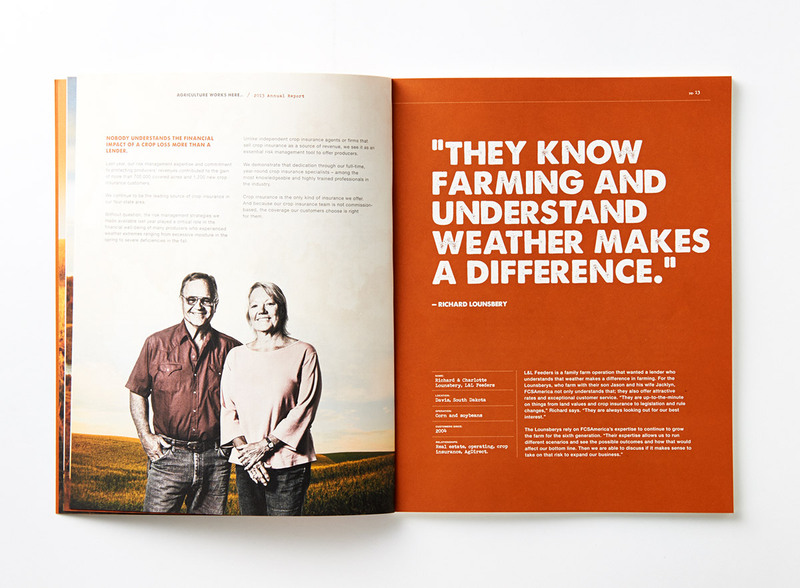 Farm Credit Services of America needed a long-term branding campaign that would develop recognition, demonstrate its value proposition and differentiate itself as a financial services cooperative focused solely on agriculture. The campaign would need to connect emotionally with customer-owners and work across several channels, while remaining fresh in its execution and accommodating a variety of product and service offerings. 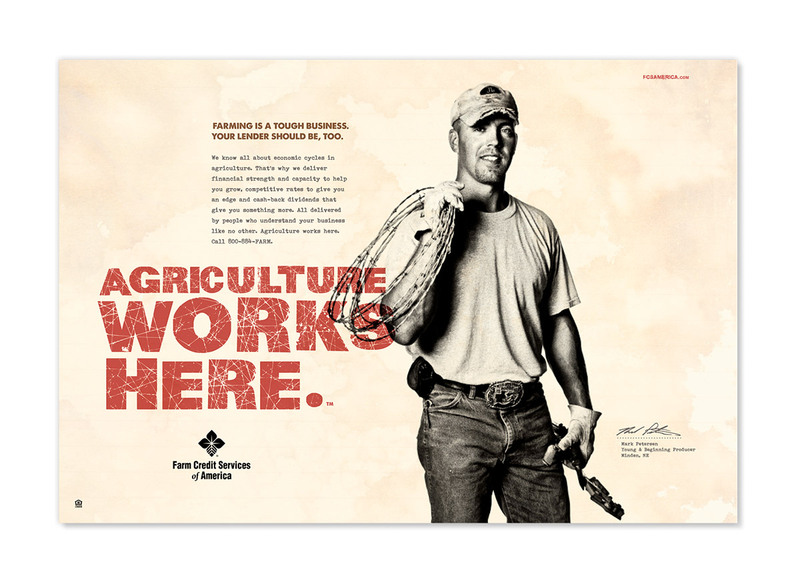 A new campaign was launched that underscored the brand's tagline, "Agriculture Works Here." Materials are "illustrated" with customer images relating to a specific product or service — or, more generally, to a plank of the cooperative's value proposition. A variety of customers rotating through the materials has kept the campaign fresh and interesting, and reveals the wide variety of relationships, commodities and operations served by this client. 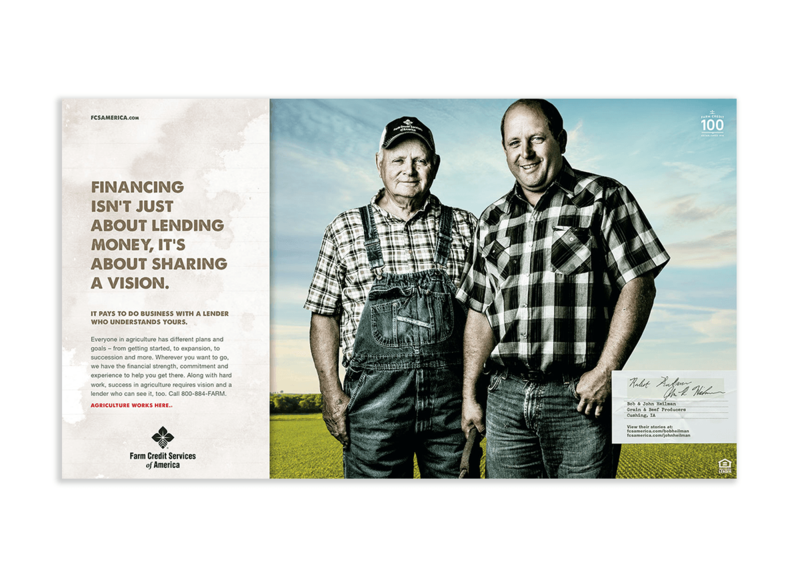 The campaign was integrated across all of Farm Credit Services of America's media — including the company's website and videos featuring actual customers. 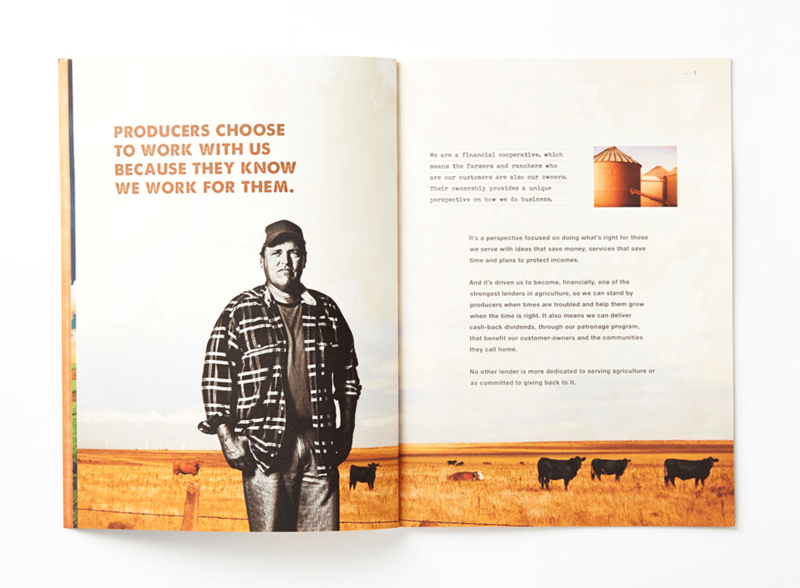 The tagline was adapted to promote a variety of the brand's core messages, including its commitment and dedication to agriculture. 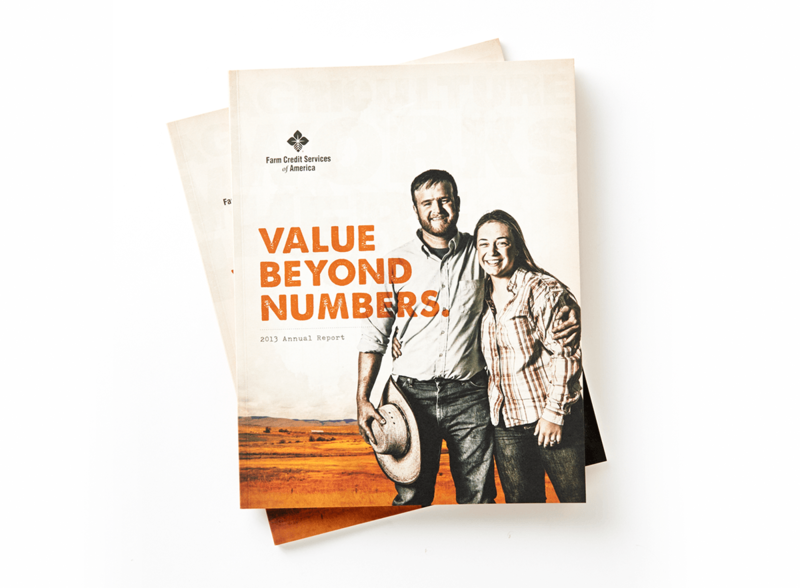 Independent research showed that within the campaign's first year, unaided awareness of the Farm Credit Services of America brand increased to an all-time high. 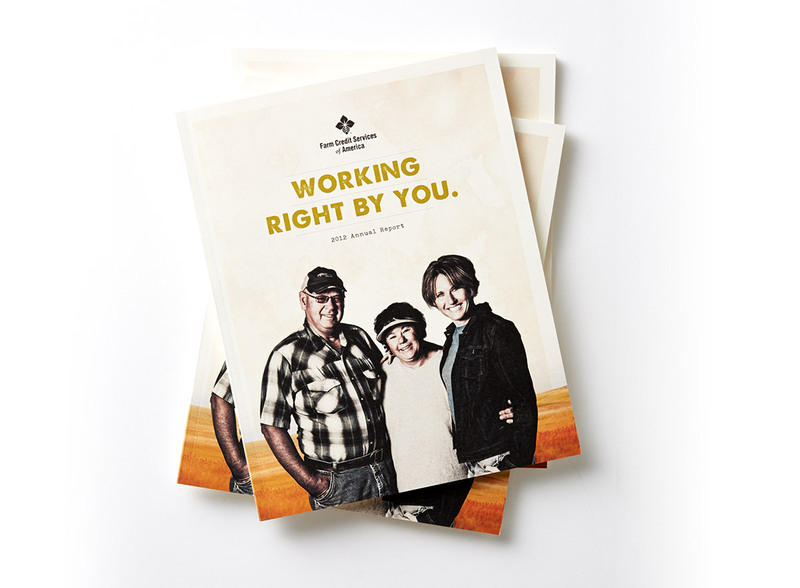 Ongoing research continues to show year-over-year increases in uptake of the cooperative's new value proposition statements among both customers and non-customers. 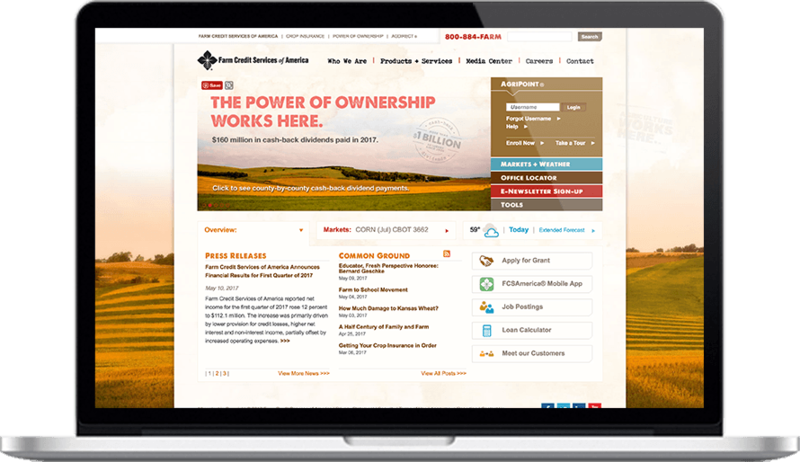 Unaided awareness of the Farm Credit Services of America brand increased to an all-time high. 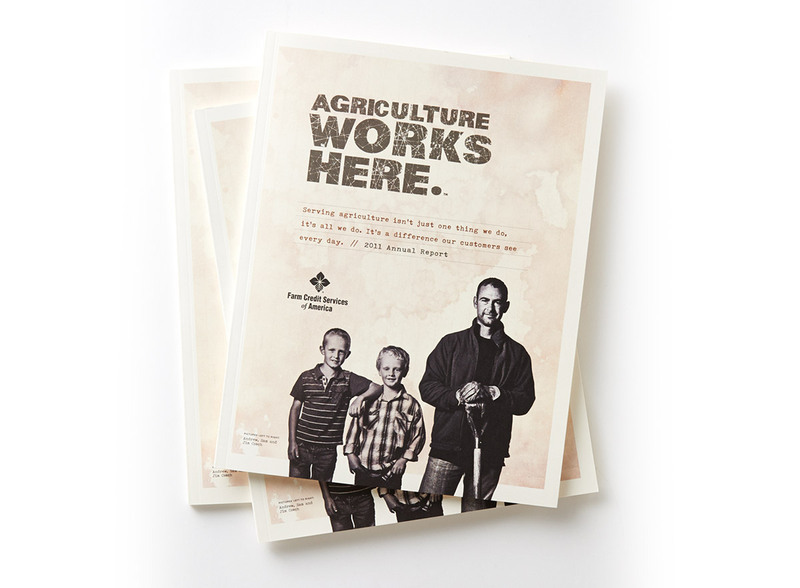 Farm Credit Services of America and its customers have embraced the "Agriculture Works Here" message. (The tagline itself is now popular on customer wearables.) 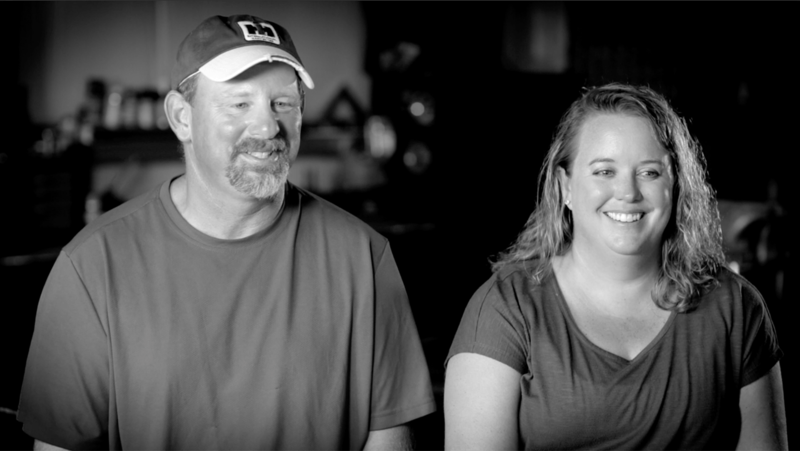 Meyocks has helped both evolve and extend the campaign while maintaining its customer-centric focus. And, most importantly, customer acquisition and loan volume have significantly increased since the campaign first launched.